A version of this article appeared in the South China Morning Post, 18 April 2013. The story was entered in the 2014 Society of Environmental Journalists annual award competition in the feature story category. One of the most spectacular migrations on the planet is now underway, and Hong Kong, as it has for centuries, is at its heart. While not as breathtaking as the running of the great wildebeests on the Serengeti, the mass movement of Asia’s migratory waterbirds is nonetheless astonishing in scale and rich in biological significance. The birds travel on what is called the “East Asian-Australasian Flyway,” one of the world’s most important waterbird routes. It spans 13,000 kilometers and involves over 50 million birds. Here in our backyard, the Mai Po Inner Deep Bay Ramsar Site, a tiny nature reserve squeezed between two of Asia’s most densely populated cities, forms a critical link in this winged migration, a biological process that repeats itself like clockwork every year. Conservative estimates put around 120,000 migratory waterbirds passing through Mai Po each year, according to the World Wildlife Fund in Hong Kong, which has a contract to manage the site that was designated for international protection in 1995. Roughly 90,000 of these birds winter here, with over 30 species classified as being of global conservation concern. The birds are drawn to the area by its lush marshes, inter-tidal mudflats, and fishponds, which form a winter oasis for rest and rejuvenation before they head north to their breeding grounds in China, Mongolia, and Siberia. Thousands of ducks, gulls, and the famous Black-faced Spoonbill typically arrive at Mai Po between late October and December and remain until March or April. But the future of these precious wetlands is in doubt, as threats of habitat loss, degradation, and fragmentation grow. 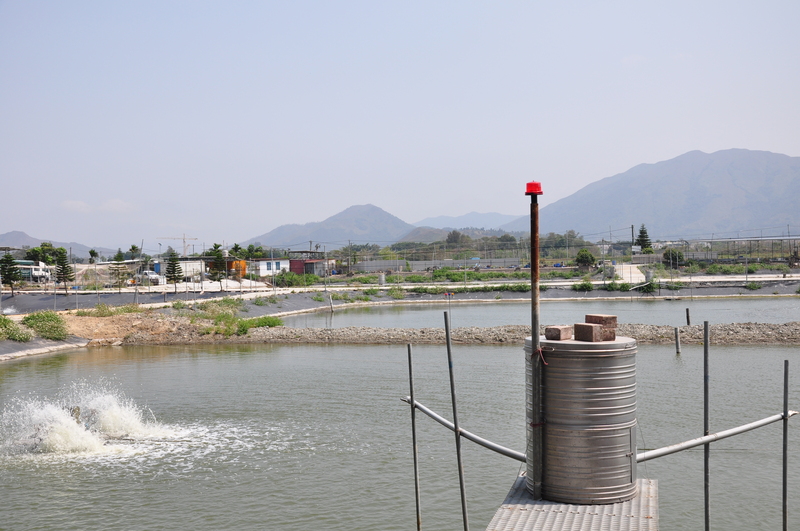 The culprits are development and land management practices that are destroying the wetlands’ traditional fishponds. 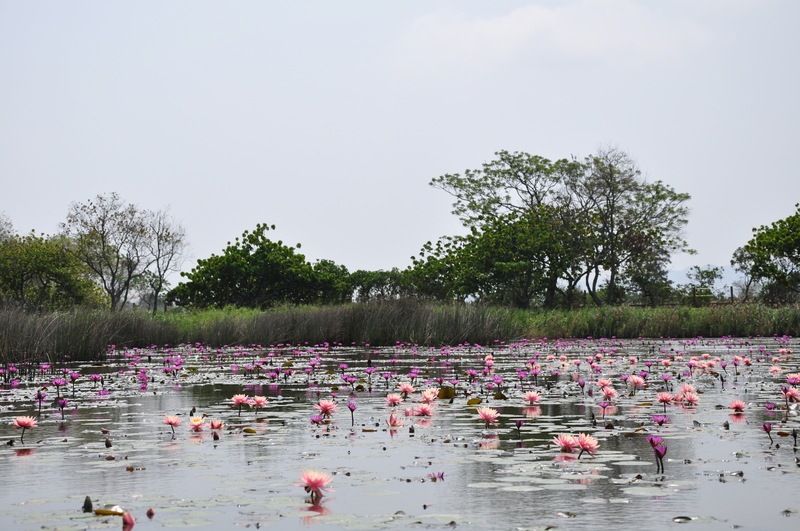 Of the 2,000-hectare wetland area, the Ramsar treaty protects only about 75 percent. The ecological value of the other 25 percent, set up as buffer zones to protect the Ramsar Site, is now slowly deteriorating due to ineffective land-use policies. Clearly, much more should be done to preserve this Hong Kong treasure. Currently, a hodgepodge of international treaty protection, local environmental ordinances, and town planning substitutes for the government’s lack of a comprehensive conservation policy. Such a policy would take account of the cumulative effects of habitat loss in Hong Kong, rather than the current piecemeal approach, which has been likened to a death by a thousand cuts. And more cuts may be on the way. NGOs and conservationists are keeping a watchful eye on several development proposals in the protected area or just outside it in the Lok Ma Chau loop and those under the Public Private Partnership scheme, such as Nam Sang Wai, a popular spot for outdoor wedding photos and bird watching. That scheme allows developers to build on small parcels in exchange for protecting larger chunks of habitat. While any development on those sites could still be a ways off, loss of habitat is already a daily affair out on the wetlands. It’s as if a war were being waged on the birds. But the birds are just the collateral damage. The real targets are the fishponds. In Hong Kong, traditional fishponds, which have long been part of the local culture, are supported by rich vegetation and form a valuable part of the wetland ecosystem. What concerns conservationists is that they are fast disappearing in and around the Ramsar Site, being replaced by intensive, industrial-scale ponds that denude the natural habitat and are of low ecological value. In parts of the wetlands, these eyesores dot the landscape as far as the eye can see. Waterbirds, once a common sight on the ponds, are now largely absent — a telltale sign the ecosystem is in decline. And as more wetlands in the rest of Asia are lost, Mai Po’s importance only grows. The site offers profound lessons for the entire region, particularly on the Mainland, where many wetlands are virtual deserts, their fauna decimated by aquaculture and the hunting of wild birds for food. With little research on the loss of waterbirds in Asia, Mai Po’s role as a center for collecting data and cataloguing waterbirds takes on added significance, not least of which relates to human health. The ongoing outbreak of H7N9 is reminding us of what biologists have known for a long time — that wetland sanctuaries serve as a critical front line against avian flu. A UN Environment Program-commissioned report recommended years ago that countries preserve their wetlands as an important preventive to keep migratory birds from mixing with domestic fowl. Wetlands such as Mai Po create such a natural protection zone, one that makes possible the harmonious co-existence between humans and wild birds. Not all is bad news, however. The Convention on Biological Diversity will take affect in Hong Kong next year, and with it comes a new level of government responsibility to protect the territory’s biodiversity, including wetlands and their rich wildlife. Green groups are already working closely with the government on ways to maximize the convention’s impact here. To meet its new international obligations, the government should ramp up tools already at its disposal. Of these, the Public Private Partnership scheme seems to be the most viable at present. Another proposal, being pushed by green groups, is land swaps, which protect critical habitat in exchange for land to build elsewhere. As the world celebrates World Migratory Bird Day next month, the people of Hong Kong have much to be proud of in the city’s role in preserving this critical piece of the region’s fragile ecosystem. It would be nice if the government also did its part. The author is a a former US diplomat who covered international environmental issues for over 20 years. He was head of the Economic-Political Section at the US Consulate in Hong Kong from 2009-2012.